Machines with BTO 6-core "Gulftown" processors used 1333 MHz DDR3 ECC SDRAM memory, and had a bus-speed of 6.4 GT/s. 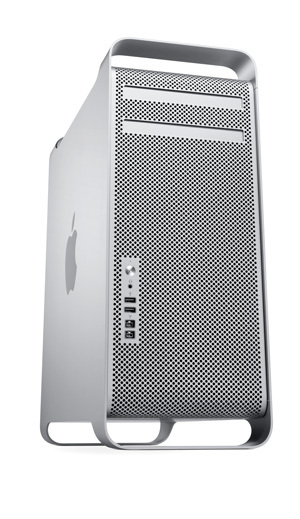 Introduced in July 2010, The Mac Pro (Mid 2010, Single CPU) improved processor speed and GPU performance over the previous Mac Pro (Early 2009, Single CPU). It came in a single highly-customizable configuration, with a 4-core 2.8 GHz Intel Xeon 3500-series processor, 3 GB of RAM, a 1 TB 7200 RPM hard drive, and 1 GB of VRAM, for $2499. Built-to-order options included a 3.2 GHz 4-core or 3.33 GHz 6-core "Gulftown" processor, up to 32 GB of RAM, up to 8 TB of storage (via four hard drive bays), an additional ATI Radeon HD 5770 graphics card, an ATI Radeon HD 5870 graphics card, a second 18x SuperDrive, and RAID and Fibre Channel PCI Express cards. A server configuration was also made available, with 8 GB of RAM and dual 1 TB 7200 RPM hard disks. 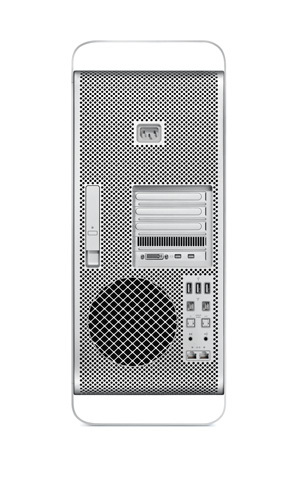 All configurations were discontinued in June 2012 with the introduction of the Mac Pro (Mid 2012, Single CPU).